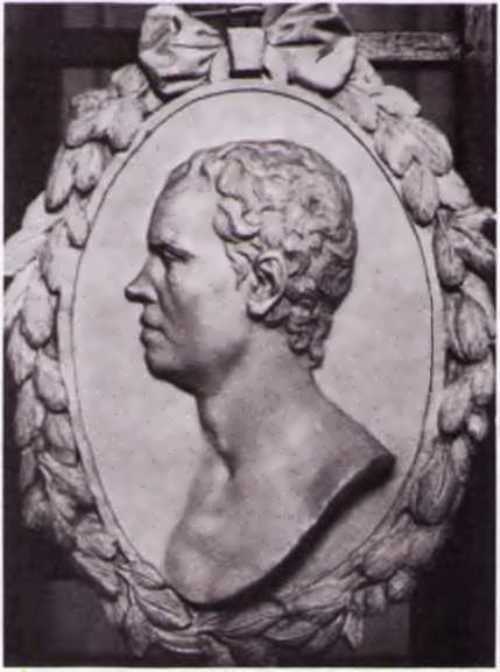 Vasily Demut-Malinovsky (1779-1846) was a Russian sculptor. To tell the truth, he was the greatest representative of the Russian Empire. 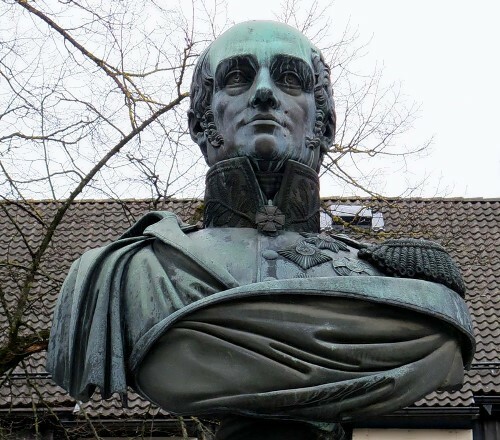 The future sculptor was born in St. Petersburg on March 2, 1779. His father worked as a wood carver. In 1785, while still a child, six-year-old Vasily began to study at the Academy of Arts. 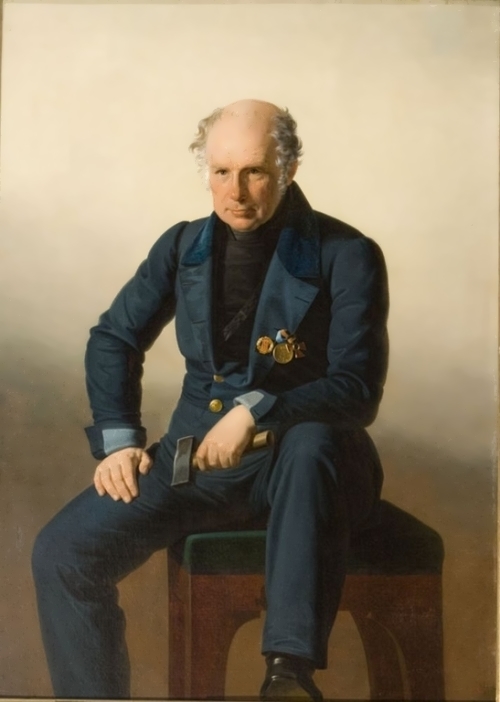 Remarkable Russian sculptor Mikhail Kozlovsky played a great role in the education of Demut-Malinovsky. He taught at the Academy. Together with the teacher, Demut-Malinovsky created the plot relief The Capture Of Frigates at the Battle of Gangut. This responsible work brought the young artist a great gold medal. He was left as a pensioner at the Academy. 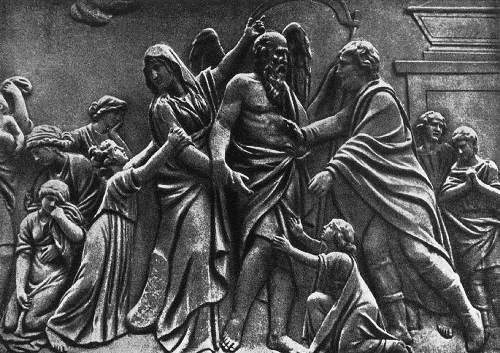 After the death of Kozlovsky, Demut-Malinovsky created a tombstone project for the famous Russian artist. 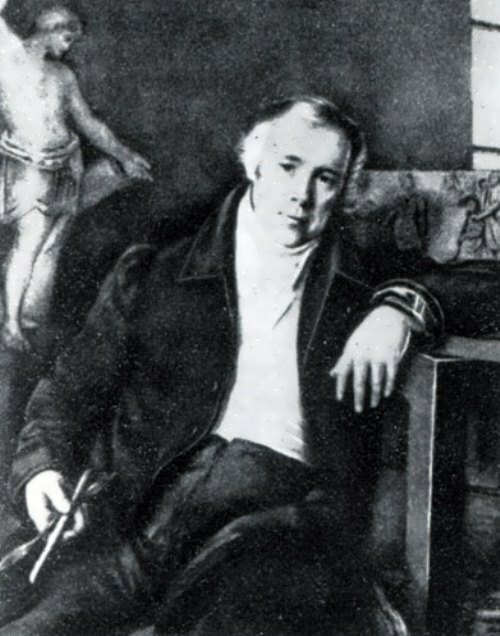 On December 11, 1802 at the Great Assembly of the Academy of Fine Arts Demutu-Malinovsky was awarded the Grand Gold Medal. In 1803, Vasily, among other pensioners of the Academy of Arts, went to Italy for further improvement in art. 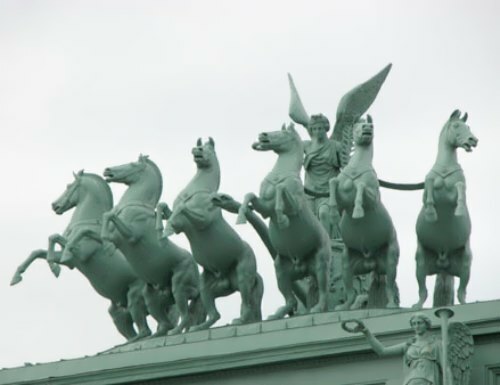 And in early June of the same year he went to the famous Italian sculptor Antonio Canova. Also he studied ancient art, got acquainted with the works of modern Italian masters. Three years later, in 1806, he returned home, but all of his works done abroad perished en route. So, he had to create new works. To tell the truth, he created plastic compositions for the largest buildings of that time: the Kazan Cathedral, the Stock Exchange, the Mining Institute and the Admiralty. 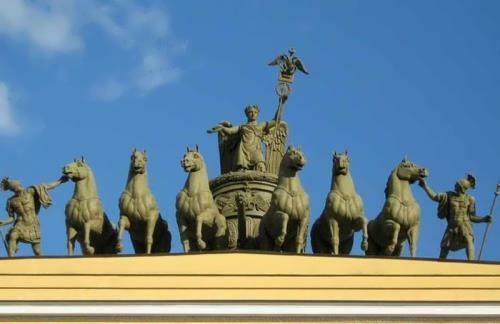 The work of the young sculptor for the Kazan Cathedral was highly appreciated by the Council of the Academy. 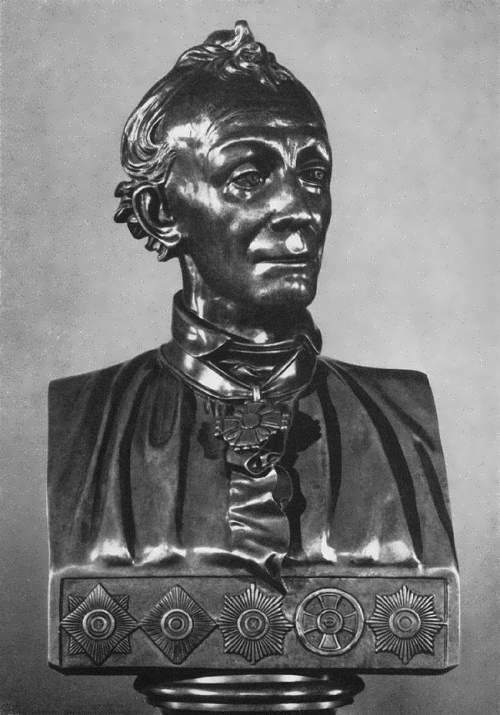 First, for a sketch of the statue of Elijah the Prophet Demut-Malinovsky received the title of academician, and for the statue of Andrew the First-Called he was promoted to associate professor. 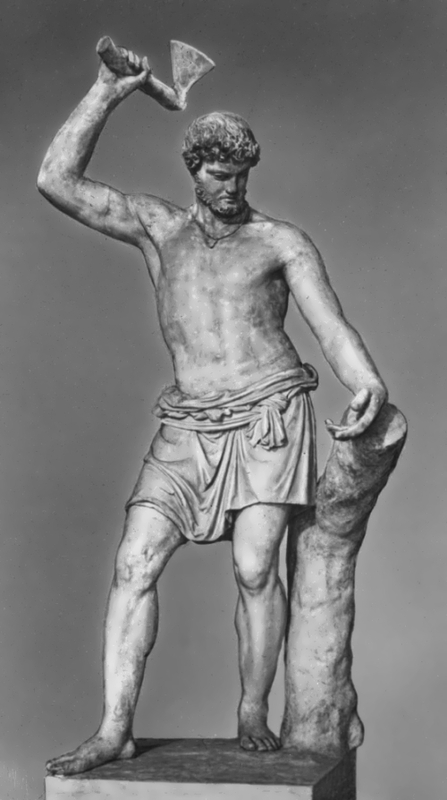 After 1812, there was a new stage in the work of the sculptor. The theme of popular heroism and selfless struggle of ordinary Russian people with Napoleonic hordes found a vivid expression in the Russian Scaevola. In his work Demut-Malinovsky showed the moment when a farmer only raised the ax. Sculpture was highly appreciated by contemporaries. 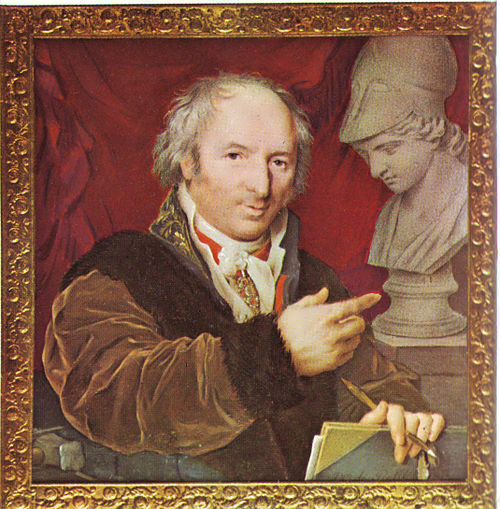 And in 1813 Demut-Malinovsky was awarded the title of professor of sculpture. 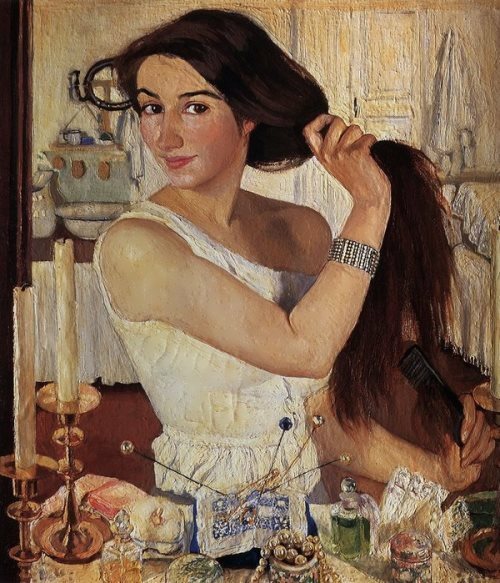 Further development of the patriotic theme in the works of Demut-Malinovsky was in portrait works. 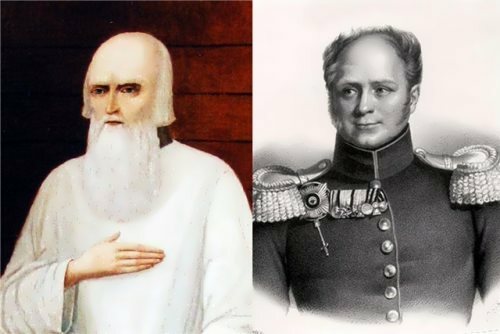 First of all, it is necessary to name the works devoted to the Russian commanders – Mikhail Kutuzov and Alexander Suvorov. Approximately from 1817 Demut-Malinovsky and Stepan Pimenov began to cooperate with architect K. Rossi, taking the most active part in the sculptural design of Elagin and Mikhailovsky palaces, the ensemble of the Alexandrinsky Theater (now the Pushkin Theater) and other structures. In 1823, Demut-Malinovsky together with Pimenov began the sculptural design of the facades and interiors of one of the largest buildings in Russia – the Mikhailovsky Palace. 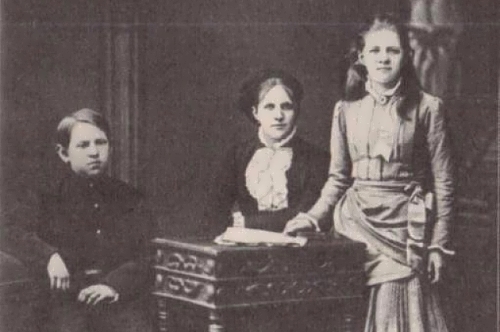 After the construction of the Senate and the Synod, Rossi and Demuth-Malinovsky no longer worked together. The Narva Triumphal Arch by the architect Stasov was the last major work of the sculptor in the field of monumental and decorative plastics. In 1830 the sculptor created the monument to Catherine II. Now the monument is located at the State Museum of Architecture. 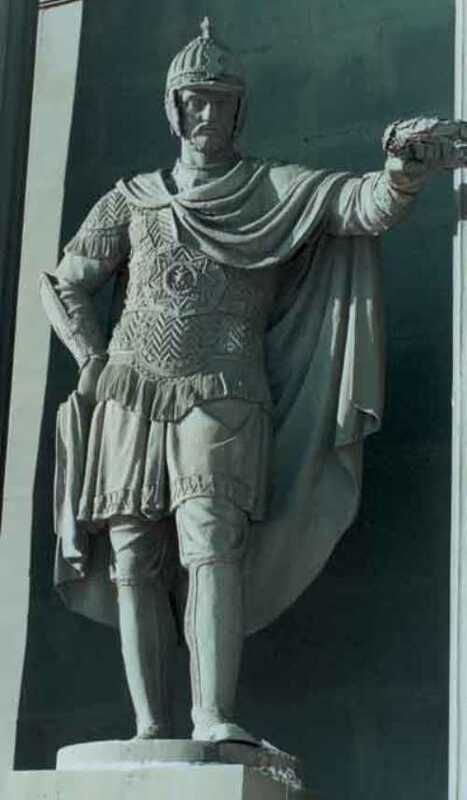 The most famous works from his later masterpieces were monuments to Field Marshal Barclay de Tolly (1849) and Ivan Susanin (1851), which were opened after the death of the sculptor. 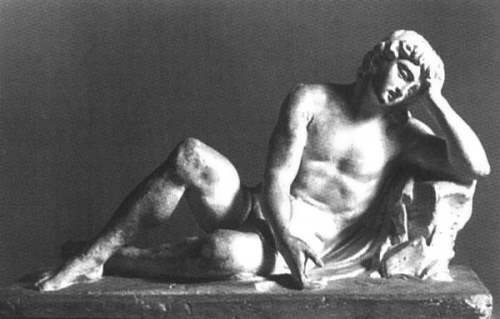 Great sculptor died on July 16, 1846. He was buried at the Tikhvinskoe cemetery of the Alexander Nevsky Monastery. 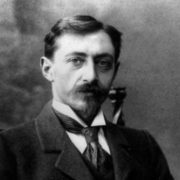 According to contemporaries, Demut-Malinovsky was fond of music. It is also worth noting that he was related with many artists of his time. Yes, and his wife was the daughter of the sculptor F. Shchedrin.